The 2019 AFC Asian Cup was the 17th edition of the AFC Asian Cup, the quadrennial international men's football championship of Asia organised by the Asian Football Confederation (AFC). It was held in the United Arab Emirates from 5 January to 1 February 2019. For the first time, the Asian Cup final tournament was contested by 24 teams, having been expanded from the 16-team format that was used from 2004 to 2015. Under this new format, the finalists would contest a group stage consisting of six groups of four teams, followed by a knockout stage of 16 teams. The host nation qualified for the final tournament automatically, while the remaining 23 places were determined among the other 45 national teams of the AFC through a qualifying competition running from 2015 to 2018, part of which also served as part of the 2018 FIFA World Cup qualification process for the confederation. The tournament was won for the first time by Qatar, who defeated Japan 3–1 in the Final. This was also Qatar's first ever top 4 finish in the competition. The defending champions (Australia), were eliminated by the hosts (UAE) at the quarter-final stages, who subsequently lost to the eventual champions in the semi-finals. The bidding procedure and timeline for the 2019 AFC Asian Cup was approved at the AFC congress on 28 November 2012. The winning bid was originally set to be announced at an AFC congress in June, then November 2014. However, at its 60th Anniversary celebrations at the end of 2014, AFC gave the date of 'summer 2015' to when an announcement would be made. In January 2015, AFC general secretary Alex Soosay said that Iran and the United Arab Emirates were the only two remaining bidders for the 2019 Asian Cup, and that the eventual hosts would be announced in March 2015. On 9 March 2015, during an AFC Executive Committee meeting in Manama, Bahrain, the United Arab Emirates was announced as the host. This was the second time the country hosted the tournament, after the 1996 edition. The 2019 AFC Asian Cup qualification process determined the 24 participating teams for the tournament. 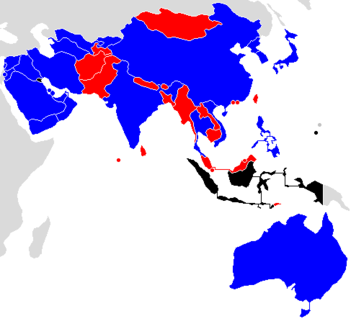 In 2014, a proposal to merge the preliminary qualification rounds of the FIFA World Cup with those of the AFC Asian Cup was ratified by the AFC Competitions Committee. The new qualification structure took place in three stages, with the first two merging with the 2018 FIFA World Cup qualification. In the first round, the lowest ranked teams played home-and-away over two legs to reduce the total number of teams to 40. In the second round, the 40 teams were divided into eight groups of five to play home-and-away round-robin matches, where the eight group winners and the four best group runners-up qualified for the 2019 AFC Asian Cup finals. In the third round, the next best 24 teams eliminated from second round were divided into six groups of four and competed for the remaining slots of the 2019 AFC Asian Cup. The first qualifying round of the qualification took place on 12 March 2015, and the final match of the third round took place on 27 March 2018. India, Syria, Thailand and Turkmenistan qualified to the tournament after being absent in several Asian Cup tournaments spanning from 2004 to 2015. Lebanon and Vietnam both qualified for the first time after hosting the tournaments, in 2000 and 2007 respectively. For Vietnam, this was the first time they qualified for the AFC Asian Cup as a unified nation, having participated as South Vietnam in the first two editions (1956 and 1960), outside of hosting the 2007 edition. This was also the first time Yemen qualified for the AFC Asian Cup as a unified country, due to FIFA and AFC categorizing the participation of South Yemen in the 1976 as a distinct record not related to Yemen, who succeeded North Yemen. In addition to Yemen, the Philippines and Kyrgyzstan also marked this edition as their first times to qualify for an Asian Cup. Tajikistan, along with its fellow CAFA member nation Afghanistan, were the only two countries from their confederation who failed to qualify for the tournament. Iran qualified to the Asian Cup for the first time as a CAFA member, having qualified as part of the WAFF before. Malaysia and Indonesia were the only co-hosts of the 2007 edition that did not qualify for the Asian Cup, as Malaysia had ended their campaign in disaster with just one point out of six matches; while Indonesia was barred from entering the qualification due to tension inside the PSSI which led to FIFA suspension. Kuwait was the only Arab country not to qualify for the Asian Cup, as they were also barred from completing the qualification due to FIFA's sanction. India remained as the only South Asian team to qualify for the tournament. On 13 November 2018 Asian Football Confederation warned the Iranian government to stop meddling in the country's football association, otherwise it may face sanctions before Asian cup games start in January. 2 Yemen once qualified to the 1976 AFC Asian Cup as South Yemen, but according to FIFA and the AFC, the previous records of Yemen are registered as North Yemen instead. The draw of the final tournament was held on 4 May 2018, 19:30 GST, at the Armani Hotel in the Burj Khalifa in Dubai. The FIFA rankings of April 2018 were used as basis for the seeding. The 12 teams that secured their place in the final tournament by the end of the second round of the qualification process were placed in Pots 1 and 2 while the remaining teams which qualified during the third round were allocated to the remaining pots. As hosts, the United Arab Emirates were seeded into Pot 1. The 24 teams were drawn into six groups of four teams, with the hosts placed in position A1. Four renowned Asian players: Ali Daei, Sun Jihai, Sunil Chhetri and Phil Younghusband were chosen to draw the teams. Teams were drawn consecutively into Group A to F. Teams from each pot were assigned to the positions of their groups following by number orders of group stage, for example Pot 1 team were assigned to A1, and continued. Referee César Arturo Ramos reviewing a play using Video assistant referee during a semi-final match between Qatar and UAE. On 5 December 2018, the AFC announced the list of 30 referees, 30 assistant referees, two stand-by referees and two stand-by assistant referees, including one referee and two assistant referees from CONCACAF for the tournament. Video assistant referees (VAR) would be used from the quarter-finals onwards. In each match, the referee and his assistants were accompanied by two additional assistant referees stationed next to each team's goalpost. Each team must register a squad of minimum 18 players and maximum 23 players, minimum three of whom must be goalkeepers. After being awarded the bid, initially the UAE chose six stadiums to host the tournament. The six stadiums were Zayed Sports City Stadium and Mohammed Bin Zayed Stadium in Abu Dhabi, Hazza Bin Zayed Stadium and Khalifa bin Zayed Stadium in Al Ain, and Dubai's Al Ahli Stadium and DSC Stadium. Later, two stadiums in Dubai were dropped due to financial problems and were replaced by Al Maktoum Stadium and Rashid Stadium, which were also located in Dubai. After the 2015 Asian Cup, the AFC agreed to increase the number of teams from 16 to 24, following the UEFA Euro 2016. Hence, more stadiums were about to be chosen and rebuilt, in which Sharjah and Abu Dhabi won the rights to have more stadiums for the tournament. Sharjah Stadium and Al Nahyan Stadium were chosen aftermath, finalized the number of stadium to eight. The eight venues used are Zayed Sports City Stadium, Mohammed Bin Zayed Stadium, and Al Nahyan Stadium in Abu Dhabi, Hazza Bin Zayed Stadium and Khalifa Bin Zayed Stadium in Al Ain, Al Maktoum Stadium and Rashid Stadium in Dubai, and Sharjah Stadium in Sharjah. The tournament was expanded to 24 teams from the previous format of 16 teams, which had been used since 2004. Only the hosts will receive an automatic qualification spot, while the other 23 teams will qualify through a qualification tournament. At the finals, the 24 teams will be drawn into six groups of four teams each. The teams in each group play a single round robin. After the group stage, the top two teams and the four best third teams will advance to the knockout stage, beginning with the round of 16. For the first time since a knockout stage was added to the competition in 1972, there will be no third place play-off. The format is exactly the one which was applied to UEFA Euro 2016, and is similar to the format of the 1986, 1990, and 1994 FIFA World Cups, except that the World Cup included a third place play-off. The AFC announced the official match schedule on 7 May 2018. Zayed Sports City Stadium, one of three stadiums in Abu Dhabi, staged both the opening match and the final. At least five matches were allocated to each venue, with every ground hosting at least one match in the knockout stage. The semi-finals were played on different days in Abu Dhabi and Dubai. No city hosted two matches on the same day – except in the final round of group stage matches when simultaneous kick-off is required. The top two teams of each group and the four best third-placed teams advanced to the round of 16. All times are local, GST (UTC+4). Zayed Sports City Stadium during the India vs United Arab Emirates match. ^ a b Head-to-head points: Thailand 3, Bahrain 0. Iran national team entering the Al Maktoum Stadium during Iran vs. Iraq match. Lebanese fans during Lebanon vs. Saudi Arabia match. Rules for classification: 1) Points; 2) Goal difference; 3) Goals scored; 4) Disciplinary points; 5) Drawing of lots. ^ a b Disciplinary points: Kyrgyzstan −5, Oman −6. ^ a b Disciplinary points: Vietnam −5, Lebanon −7. Player lineup prior to Qatar vs. UAE kickoff. In the knockout stage, extra time and penalty shoot-out were used to decide the winner if necessary. A fourth substitution could be made during extra time. There were 130 goals scored in 51 matches, for an average of 2.55 goals per match. The official logo of the 2019 AFC Asian Cup was unveiled on 23 January 2017 in Abu Dhabi during the drawing ceremony for the third round of the 2019 AFC Asian Cup qualification. The colors used in the logo were derived from the flag of the UAE. The seven hexagons formed by colored ribbons represents the seven emirates of the host country. The interlacing hexagon pattern of the logo was inspired from Islamic art, as well as the old Emirati tradition of using palm leaves, locally known as saf, in weaving. The outer circle along with the geometric design within it symbolizes the sport of football. The slogan "Bringing Asia Together" (Arabic: جمع آسيا معاً‎) was unveiled on 5 January 2018, a year before the tournament's kick-off. Molten Acentec football used in the tournament. The official match ball was provided by Molten Corporation. According from the AFC, the match ball would be known as Molten Acentec. During the final draw on 4 May 2018, two mascots, Mansour and Jarrah, were unveiled. Mansour is a typical Arab football kid, while Jarrah is an Arabian falcon with lightning speed. The new trophy, carried by Park Ji-sung. Also on the drawing day on 4 May 2018, an all new trophy made by Thomas Lyte was unveiled. 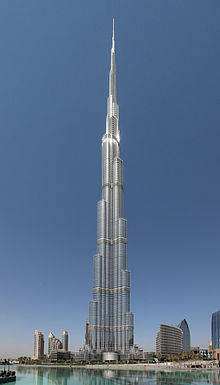 It is 78 centimeters tall, 42 centimeters wide, and weighs 15 kilograms of silver. The trophy is modeled over lotus flower, a symbolically important aquatic Asian plant. Five petals of the lotus symbolized the five sub-confederations under the AFC. The winner names are engraved around the trophy base, which is separable from the trophy's main body. Total prize money pool for the tournament was US$14,800,000. The champions would receive US$5 million, the runners-up will receive USD$3 million, and the losing semi-finalists would receive US$1 million. All 24 participating teams would also receive US$200,000. The tournament organizers held a competition where fans got to choose and vote on slogans to be used on the team buses of the 24 participating national teams. The tournament was broadcast live by around 80 TV channels covering the whole world. 800 million people were expected to watch matches, with the tournament reaching a potential TV audience of more than 2.5 billion people. Below was the list of confirmed broadcasting right holders for 2019 AFC Asian Cup. ESPN5 made a "competitive bid" to broadcast the tournament on free-to-air television in the Philippines, but it was not accepted by the AFC. In the Middle East, where Qatar-based BeIN Sports has rights to broadcast the Asian Cup in the region, BeoutQ (allegedly backed by Saudi Arabia) also illegally broadcast the tournament as part of a proxy conflict in a diplomatic crisis between Qatar and various Arab states. The AFC has noted BeoutQ's broadcast and condemned it for "persistent and illegal screening". At the end of the tournament, AFC announced that the 2019 Asian Cup was the most engaging in history across all social platforms reaching 169.4 million impressions, an increase by more than fifteen times from the 11 million reach from 2015 AFC Asian Cup. Broadcast rights are sold by Lagardère Sports on behalf of the AFC. ^ DAZN only broadcast seven of 51 matches, starting from the quarter-finals. ^ Live coverage for final only, with highlights of all matches. ^ Fox+ broadcast all 51 matches for Hong Kong, Philippines, Singapore, and Taiwan viewers only. ^ Channel 7 broadcast Thailand matches only, with all 51 matches also live and free on Bugaboo TV. Many ticket-holding fans were locked out of the Group B match between Palestine and Australia, with management closing a number of Rashid Stadium gates before the start of the match “in the interests of fan safety”. Rashid Stadium was one of the smallest stadiums in the tournament with only 12,000 seats and many non-ticket holding fans attempted to watch the match without buying tickets. The organizing committee issued a statement for the reasons of closure stating “Ahead of kick-off a large crowd of fans with and without tickets had gathered over a short period of time outside the stadium, which resulted in the need to secure the area." They then issued an apology to supporters who were “inconvenienced or left disappointed” and issued an investigative probe to insure it to be an isolated incident. As a result of 2017–19 Qatar diplomatic crisis between Qatar and number of its neighbours since 5 June 2017, including the United Arab Emirates as the host country, the UAE suspended all direct flights between the two countries and initially banned Qatari citizens from entering their country, although the Emirati government later announced that it would permit Qatari citizens temporary entry into the country pending approval from Emirati authorities. According to a report, Saoud al-Mohannadi, a Qatari national who is the AFC vice-president and chairman of the organizing committee for the Asian Cup, was unable to enter the UAE two days prior to the tournament's start because Emirati authorities had not yet cleared him. The director of the 2019 AFC Organizing Committee denied reports that Al Mohannadi was refused entry and declared that Al Mohannadi has arrived on Friday morning and was preparing for his meetings. The director stated that there was no evidence that shows he was unable to enter and stated that this news has "political purposes". He stated "We try to keep sports away from politics." The diplomatic crisis prevented many fans from attending Qatar matches in the UAE. This had affected attendance figures in Qatar matches, as little more than 450 people spectated the Group E clash between North Korea and Qatar on 13 January. The UAE government had confirmed previously that Qatari citizens may enter UAE with prior permission obtained directly through a hotline from UAE authorities. According to Qatar's Sports Press Committee, five Qatar-based media representatives were denied entry into the UAE despite having entry visas and receiving assurances that they would be allowed to attend and report on the tournament by the AFC. The AFC Media Committee dismissed the Qatari reports and stated that some of the Qatar-based journalists confused visit visas with work visas and advised all journalists to contact them if they encounter any issues with the entry visa type. According to Al Jazeera, the final match, which was won by Qatar, was played "almost entirely without" Qatari support from the stands, due to the travel ban. However, according to Qatar based The Peninsula large number of Qatar fans supported the Qatari team in the stadium, stating "The large number of fans who supported the Qatari team were wearing the logo of Al Annabi [The Maroons] with the background of the names of various players. Apart from their attendance, they carried flags in the stadium and continued to cheer for Al Annabi [The Maroons] players and sing songs throughout the game." During the semifinal match between Qatar and hosts United Arab Emirates, some UAE supporters threw bottles and footwear into the match after Qatari players scored their second goal, the latter is considered deeply offensive in the Middle East. One of the Qatari players, Salem Al Hajri, was struck on the head with a shoe after Qatar scored its third goal. This conduct was preceded by booing the Qatari national anthem. Qatar won 4–0 despite the situation, reaching their first Asian Cup final. Afterwards, the AFC declared that it would conduct an investigation into the proceedings. On 30 January 2019, soon after the hosts lost to Qatar in the semi-finals, the United Arab Emirates Football Association lodged a formal appeal to the AFC over the eligibility of Sudanese-born Almoez Ali and Iraqi-born Bassam Al-Rawi, claiming that they did not qualify to play for Qatar on residency grounds per Article 7 of the Regulations Governing the Application of the FIFA statutes, which states a player is eligible to play for a representative team if he has "lived continuously for at least five years after reaching the age of 18 on the territory of the relevant association". It was alleged that Ali and Al-Rawi had not lived continuously in Qatar for at least five years over the age of 18, although the players claimed that their mothers were born in Qatar. Only hours prior to the start of the final on 1 February 2019, the AFC Disciplinary and Ethics Committee announced that it had dismissed the protest lodged by the UAEFA. A British-Sudanese football fan was allegedly beaten by fans for wearing a Qatar football shirt to a match in which Qatar was playing and then, after investigation by the police, arrested for wasting police time and making false statements of being assaulted. According to The Guardian, the fan was arrested for wearing a Qatar football shirt. The claim was denied by UAE authorities who stated the fan was arrested for wasting police time and making false assault claims to the police. The UAE police said that the fan had admitted to making false statements. A UAE official in London stated “He was categorically not arrested for wearing a Qatar football shirt. This is instead an instance of a person seeking media attention and wasting police time.” According to photos shown by The National, fans were seen waving the Qatari flag and wearing Qatari football shirts without any instances of arrests. ^ a b "Record-breaker Almoez Ali named MVP". the-afc.com. 1 February 2019. Retrieved 2 February 2019. ^ "Qatar's Saad Al Sheeb crowned Best Goalkeeper". the-afc.com. 1 February 2019. Retrieved 2 February 2019. ^ "Qatar clinch historic title". the-afc.com. 1 February 2019. Retrieved 2 February 2019. ^ "AFC Asian Cup UAE 2019 stadiums and match dates confirmed". the-afc.com. ^ a b c "ExCo approves expanded AFC Asian Cup finals". AFC. 16 April 2014. Retrieved 25 August 2014. ^ a b c d e f "AFC Asian Cup UAE 2019 Competition Regulations". AFC. ^ "Maldives to host 2014 AFC Challenge Cup". AFC. 28 November 2012. Retrieved 3 January 2013. ^ "New 60,000 stadium to be built in Dubai Sports City as part of 2019 Asian Cup bid". Arabian Industry.com. 11 March 2014. Retrieved 27 March 2014. ^ "Decision on next Asian Cup hosts unlikely before mid-2015". Yahoo! Eurosport UK. 29 November 2014. ^ "Asian Cup: Australia backed as future World Cup host by AFC general secretary". abc.net.au. Retrieved 26 January 2015. ^ "United Arab Emirates to host 2019 AFC Asian Cup". the-afc.com. Retrieved 10 March 2015. ^ "AFC Competitions Committee meeting". Asian Football Confederation. 28 November 2014. Retrieved 30 November 2014. ^ "AFC Calendar of Competitions 2015" (PDF). AFC. ^ "AFC Calendar of Competitions 2016–2018" (PDF). AFC. ^ "Iran Warned Could Face Sanctions Ahead Of Asian Cup Games In January". RFE/RL. Retrieved 6 February 2019. ^ "AFC Asian Cup UAE 2019 Draw". AFC. ^ "Draw sets stage for exciting AFC Asian Cup UAE 2019". AFC. 4 May 2018. ^ "Seedings confirmed for UAE 2019 draw". Asian Football Confederation. 12 April 2018. Retrieved 12 April 2018. ^ "AFC Asian Cup 2019: Constantine confident of progressing to knock-out stage". Goal. Retrieved 30 May 2018. ^ "Largest-ever cast of match officials appointed for UAE 2019". AFC. 5 December 2018. ^ "List of Match Officials". AFC. ^ "VAR to come into play from QF stage". AFC. 15 November 2018. ^ "AFC ASIAN CUP UAE 2019 STADIUMS AND MATCH DATES CONFIRMED". The-afc.com. Retrieved 27 January 2016. ^ a b c d e f "2019 AFC Asian Cup Welcome Guide". Asian Football Confederation. Archived from the original on 25 January 2019. Retrieved 11 January 2019. ^ "Spotlight on the classic games at UAE 2019". AFC. 7 May 2018. ^ "AFC Asian Cup UAE 2019's thrilling openers". AFC. 7 May 2018. ^ "AFC Asian Cup UAE 2019 – Match Schedule" (PDF). AFC. 7 May 2018. Retrieved 19 October 2018. ^ "Fourth substitution to be introduced at UAE 2019". AFC. 12 October 2018. ^ "AFC Asian Cup, match report: Japan 1–3 Qatar". The-AFC.com. Asian Football Confederation. 1 February 2019. Retrieved 1 February 2019. ^ "Official Draw for the AFC Asian Cup UAE 2019 Qualifiers Final Round and Logo Unveil Takes Place in Abu Dhabi". Yahoo!. PR Newswire. 23 January 2017. Retrieved 23 January 2017. ^ "AFC Asian Cup UAE 2019™ Logo Revealed". Asian Football Confederation. 23 January 2017. Retrieved 23 January 2017. ^ "AFC appoints world-leading ball manufacturer Molten as official match ball supplier". Asian Football Confederation. Retrieved 4 May 2018. ^ "Molten Acentec is official match ball of Asian Cup 2019 - Football Balls Database". Football-balls.com. Retrieved 13 June 2018. ^ "Mansour and Jarrah unveiled as official mascots for AFC Asian Cup UAE 2019". AFC. 4 May 2018. ^ "Dazzling new AFC Asian Cup trophy unveiled in Dubai". Asian Football Confederation. 4 May 2018. ^ "AFC Asian cup 2019 prize money". Sportsmirchi. ^ "Prize money to increase stakes at AFC Asian Cup UAE 2019". AFC. 4 May 2018. ^ "Team bus slogans of all 24 participating nations revealed!". Fox Sports Asia. 12 December 2018. Retrieved 27 December 2018. ^ "Publicity blitz set to boost Asian Cup attendances". theworldgame.sbs.com.au. Retrieved 8 December 2014. ^ "Sydney and Newcastle to host 10 countries in AFC Asian Cup pool matches". destinationnsw.com.au. Retrieved 8 December 2014. ^ Li, Matthew (6 January 2019). "Chot Reyes says ESPN5 made bid to air Azkals' Asian Cup campaign, denies being advisor to TNT". Tiebreaker Times. Retrieved 6 January 2019. ^ ESPN5 [@Sports5PH] (7 January 2019). "We regret to inform you that ESPN5 will not be airing the AFC Asian Cup. Our sincerest apologies for the inconvenience" (Tweet). Retrieved 24 January 2019 – via Twitter. ^ a b c Harris, Rob (1 February 2019). "To watch Asian Cup final, some fans had to pay betting sites". Wahington Times. Associated Press. Retrieved 2 February 2019. ^ "AFC Asian Cup UAE 2019 most engaging in history". AFC.com. 2 February 2019. ^ Harris, Christopher (23 January 2019). "DAZN acquires Asian Cup rights in US". World Soccer Talk. Retrieved 24 January 2019. ^ "How to watch the AFC Asian Cup 2019 in Australia". Socceroos. Retrieved 25 December 2018. ^ beIN Sports (1 February 2019). "[ COUPE D'ASIE] Le Qatar a rendez-vous avec l'histoire ! 6 matchs, 6 victoires, 16 buts marqués, 0 encaissé ! Ali meilleur buteur avec 8 buts / Afif meilleur passeur avec 8 passes ! Qatar-Japon à 15h sur beIN SPORTS 1 !". Twitter (in French). Retrieved 5 February 2019. ^ "AFC Asian Cup 2019: Schedule, live stream, where to watch, teams, scores, updates". FOX Sports Asia. 21 December 2018. Retrieved 25 December 2018. ^ "Star Sports to telecast AFC Asian Cup UAE 2019 in six languages". Indian Television Dot Com. 28 December 2018. Retrieved 5 January 2019. ^ "Tele Liban to air Lebanon's Asia Cup matches | News , Lebanon News". Dailystar.com.lb. Retrieved 9 January 2019. ^ "Probe launched after football fans denied entry to Asian Cup tie". The National. 12 January 2019. ^ Fragomen Worldwide (January 2018). "Qatar Crisis Report (January 2018)". Lexology. Retrieved 3 January 2019. ^ a b "Qataris can re-enter UAE with prior permission: Ministry". Khaleej Times. 5 July 2018. Retrieved 3 January 2019. ^ Tariq Panja (3 January 2019). "Top Qatari Soccer Official Barred From Tournament in U.A.E." The New York Times. Retrieved 3 January 2019. ^ "Qatar FA official in UAE after being denied entry". Channel News Asia. 4 January 2019. ^ "AFC Asian Cup: Sound of silence as Qatar hit North Korea for six". The Times of India. AFP. 13 January 2019. Retrieved 13 January 2019. ^ "Asian Cup opens with Gulf political issues". Korea Times. 6 January 2019. Retrieved 7 January 2019. ^ "Reports of denying journalists' entry to UAE for AFC Asian Cup untrue: Media committee". Khaleej Times. 8 January 2019. ^ "Media in blockading countries struggle to report on Qatar victory". Al Jazeera. 2 February 2019. Retrieved 6 February 2019. ^ "Qatar Team celebrate winning AFC Asian Cup with Omani fans". The Peninsula. 2 February 2019. ^ "Qatar 4–0 United Arab Emirates". BBC. 29 January 2019. Retrieved 1 February 2019. ^ Aditya (29 January 2019). "Watch: Fans throw shoes at the Qatar players after Almoez Ali scores their second goal against the UAE in the AFC Asian Cup 2019". Fox Sports Asia. Retrieved 1 February 2019. ^ a b "With Shoes and Insults Flying, Qatar Beats U.A.E. and Advances to Asian Cup Final". The New York Times. Associated Press. 29 January 2019. Retrieved 1 February 2019. ^ "Asian Cup: Qatar pelted with shoes by hostile UAE fans as they thrash hosts 4–0 to reach final". South China Morning Post. Agence France-Presse. 30 January 2019. Retrieved 1 February 2019. ^ "AFC Asian Cup 2019: Asian football body to probe shoe throwing in semi-final". Hindustan Times. Reuters. 30 January 2019. Retrieved 31 January 2019. ^ "FIFA Statutes 2015" (PDF). April 2015. Retrieved 1 February 2019. ^ "UAE lodge formal protest with AFC over eligibility of two Qatar players at Asian Cup". The National. 31 January 2019. ^ "UAE FA protest dismissed". The-AFC.com. Asian Football Confederation. 1 February 2019. Retrieved 1 February 2019. ^ Mulvenney, Nick; Cornwell, Alexander (1 February 2019). "UAE protest at eligibility of Qataris dismissed on day of final". Reuters. Retrieved 1 February 2019. ^ "Briton held in UAE in football shirt row". Bbc.com. 6 February 2019. Retrieved 6 February 2019. ^ Taylor, Diane (5 February 2019). "British man detained in UAE after wearing Qatar football shirt to match". Theguardian.com. Retrieved 6 February 2019. ^ a b "UK football fan held in United Arab Emirates 'for wearing Qatar shirt to match'". The Independent. 5 February 2019. Retrieved 6 February 2019. ^ a b Taylor, Diane (6 February 2019). "UAE officials suggest detained UK football fan beat himself up". Theguardian.com. Retrieved 6 February 2019. ^ "UAE denies British man detained for showing Qatar support". Reuters. 5 February 2019. ^ "UAE denies arresting British national for wearing Qatar shirt". Sky Sports. 6 February 2019. ^ "British football fan arrested for misleading UAE police". The National. 6 February 2019. This page was last edited on 23 April 2019, at 20:32 (UTC).